Just days after the poster arrived, we now have the first teaser from "Hop" -- and, man, is it not helpful. 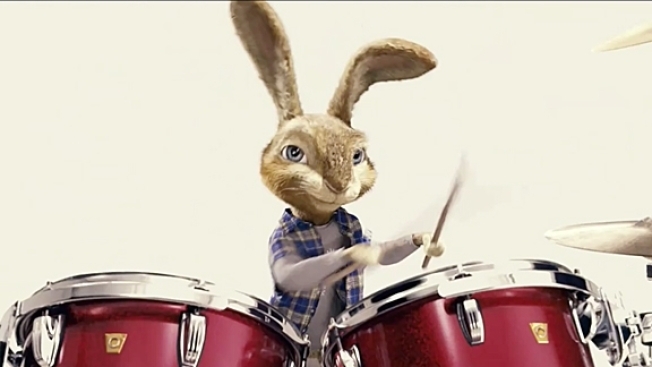 The clip features a speechless bunny, presumably the film's hero, setting up a drum kit and then playing along to Blur's classic anthem, "Song 2," for about 40 seconds. That's it. There's no plot. There's no voice. There's only one character. Hell, even the backdrop is empty white space. We like a lot of people involved in this film -- Brand, James Marsden, Chelsea Handler, Elizabeth Perkins -- and we're sure to see more of it before its April 1 release, but we can't help but wonder why studios put out stuff like this.